A natural way to get rid of disfigurements once and for all is to use Majestic Beauty Cream. It's a blend of 100% Natural and 100% Organic ingredients that will work amazingly to lessen visible stretch marks, scars and blemishes. It will cost a bit but understand that if you do a research on stretchmarks and scar removers, a lot of them don't work and they do charge more even the ones that have chemicals that could damage your skin. This mix up recipe is really difficult to find and the ingredients were really hard to get it imported from overseas. 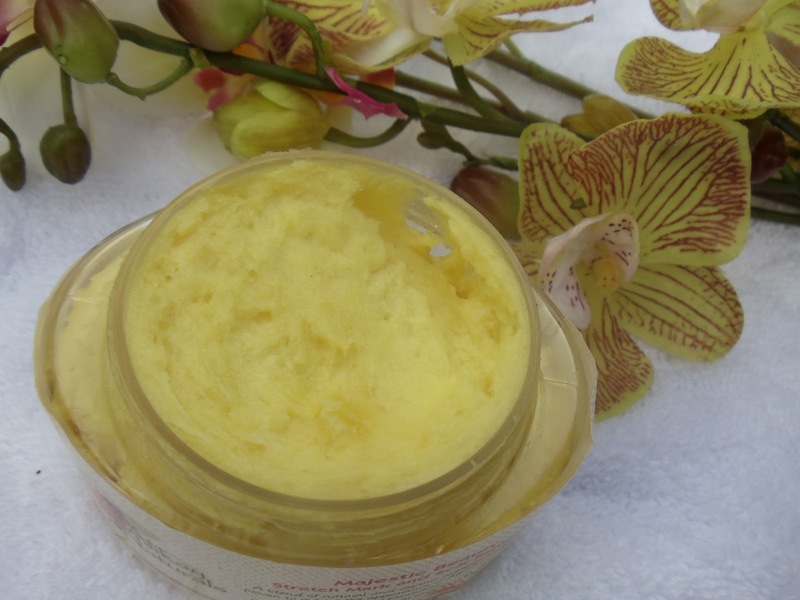 While nourishing and rejuvenating your skin, these effective essential oils and butters are proven to noticeably reduce scars and stretch marks. It also develops more elasticity to keep your skin from future stretch marks and scars from forming. I suggest you use it 2 to 3 times a day and more importatly, drink lots of water for hydration of skin. Emu Oil - is an important source of EFA's (essential fatty acids) Fatty acids is very important and required for good health and manifacture cell membranes. Emu oil is used for burns, skin care, wound care, nutrition, psoriasis, and etc. *Petroleum, Mineral Oil - it prevents the body from absorbing oxygen. *Alcohol - takes away nutrients from skin surface. *Paraben, Sulfate - can mimic estrogen and mess up the body's hormone system; can increase breat cancer risk. *Silicones - it prevents the skin from absorbing oxygen; can lead to allergic reaction. African Love Spells - Results Within 28 Hours,Most Powerful African Spell Caster With 36 Year Of Experience!! i want to use this medium to really appreciate my spiritual father a man who built his world the needing, man who displeases his self to please others, a man who put his self and family on the line to ensure one happiness, Papa on behalf of my family we say thank you. for restoring my home my husband change suddenly after 6 years of our marriage i did all i could to restoring him to non avail at a time i gave up because this time he has no feeling for me anymore i cried i prayed God lead me to one blog where a testimony was shared how he help a lady out of her family predicament, i contacted him and he gave me a life responds. he told me what was wrong that i should provide him few details which i did 12hour later husband call begging on phone, i dont know what he did but i know something was done. I never believed it, because i never heard nor learnt anything about it before. HOW TO GET YOUR EX BACK FAST!!! Dr Lucky is a trust worthy spell caster and he will be of great help to you. I never believed in spell casting but After 4 years of marriage my husband left me because I lost my womb, and i was unable to give birth to children. I felt like my life has come to an end, and i almost committed suicide, i was emotionally down for a very long time, but thanks to this spell caster called Dr Lucky whom i met online after my friend Becky Ross told me how he also helped her to bring back her husband in less than 2 days. I believed her and decided to give Dr Lucky a try and i contacted him on his email luckysolutiontemple@gmail.com and explained my problems to him. He laughed and told me that In less than 2 days, my Husband will come back to me again, and that he will restore my womb and i will give birth to children. At first i thought it was a joke but i took courage and believed as Dr Lucky has said and it did happen just as this Great spell caster said, My husband called me and was crying, begging for forgiveness. I forgive him and today i am so glad that all worries and problems has gone away, and we are even happier than before, another good news is that i am pregnant now, and very soon we will have our baby. Dr Lucky is really a gifted and a powerful spiritual man and i will not stop publishing him because he is a wonderful man. I advice you all If you have a problem and you are looking for a real and genuine spell caster to solve all your problems just Contact Dr Lucky on his email on luckysolutiontemple@gmail.com. because he will always help you to solve all problems. Once again thank you Dr Lucky Thank you, thank you. you can also call him or add him on Whats-app: +2348070980389. Hello, I aM clinton nancy After being in relationship with Anderson for years, he broke up with me, I did everything possible to bring him back but all was in vain, I wanted him back so much because of the love I have for him, I begged him with everything, I made promises but he refused. I explained my problem to my friend and she suggested that I should rather contact a spell caster that could help me cast a spell to bring him back but I am the type that never believed in spell, I had no choice than to try it, I mailed the spell caster, and he told me there was no problem that everything will be okay before three days, that my ex will return to me before three days, he cast the spell and surprisingly in the second day, it was around 4 pm. My ex called me, I was so surprised, I answered the call and all he said was that he was so sorry for everything that happened that he wanted me to return to him, that he loves me so much. I was so happy and went to him that was how we started living together happily again. Since then, I have made promise that anybody I know that have a relationship problem, I would be of help to such person by referring him or her to the only real and powerful spell caster who helped me with my own problem. email: drogunduspellcaster@gmail.com you can email him if you need his assistance in your relationship or any other Case. Hi everyone I'm Olivia Hannah and am here to share the wonderful work Dr Raypower did for me. After 5 years in marriage with my husband with 2 kids, my husband started acting weird and going out with other ladies and showed me cold love, on several occasions he threatens to divorce me if I dare question him about his affair with other ladies, I was totally devastated and confused until a old friend of mine told me about a spell caster on the internet called Dr. Raypower who help people with relationship and marriage problem by the powers of love spells, at first I doubted if such thing ever exists but decided to give it a try, when I contact him, he helped me cast a love spell and within 48hours my husband came back to me and started apologising, now he has stopped going out with other ladies and his with me for good and for real. Contact this great love spell caster for your relationship or marriage problem to be solved today via email: urgentspellcast@gmail.com or Call or WhatsApp: +14243308109. DianneSteve. Simple theme. Powered by Blogger.